My post last week on Harvard Business School Publishing’s pricing rules for Harvard Business Review articles used for teaching managed to grab lots of attention. That was, of course, my hope given my use of the ‘evil’ tag. While that seemed like a bold claim, sometimes you need to draw emotion to get everyone focussed. One outlet I was trying to get the attention of was the Financial Times. They currently include HBR amongst their 45 research and practitioner journals that drive the research component of their influential MBA rankings. That an article in HBR holds the same weighting as one in Econometrica or Management Science, has long drawn the ire of many academics but, in reality, it is a guide to which business schools are creating knowledge that will be relevant to MBA students and, in that respect, the lines are blurry. Well, mission accomplished. I did get their attention; so much so that they asked for and I provided an opinion piece that was published in the Financial Times today. The piece provides a more focussed case for dropping HBR from the FT45 list. Importantly, it stresses a point that may have not been clear in my post that my main objection was HBSP’s pricing for what we can term ‘deep linking’ to HBR articles in class. By ‘deep linking’ I mean, broadly, the direction of students via links on a web page, suggested readings in a course syllabus or the mention of HBR articles in class. I was not particularly concerned about the charging for HBR articles when they are copied and included in course packs. That may not thrill me but having them in a course pack is convenient for students and schools, I thought, could avoid that cost by directing students to library holdings for which HBSP have already been paid institutional subscription fees. By contrast, placing a tax on deep linking undermines the ability of academics to cite appropriate knowledge and give credit where credit is due. In other words, HBR would not be a neutral scholarly journal in that regard. Now let me clarify some things that have only become clearer to me recently. First, the clause HBSP are enforcing is not new. It has been there all along. What was new is that it was being enforced and a pricing scheme was being put in place. Many business schools, including my own, received notices to that effect this summer and many had informed their faculty of the change. That is what brought it to my attention. But whether it is old or new is not the point. Its existence is the concern. 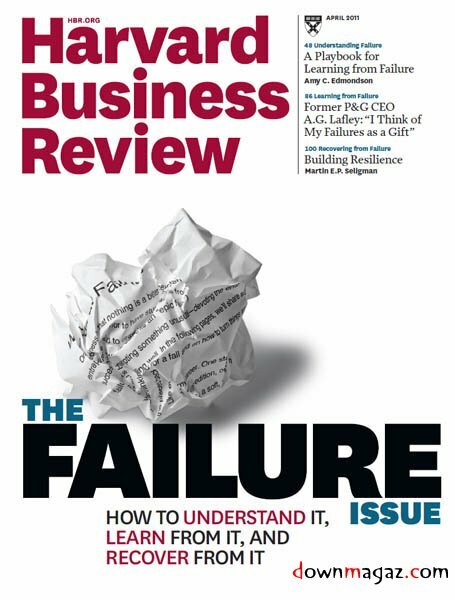 As you rightly say, HBR is included in the FT list of the top 45 business and management journals because it is one of the publications where professors disseminate their latest ideas. This list is determined not by the FT, but by those business schools that participate in the MBA and EMBA rankings. So while professors continue to publish there, and while business schools still endorse HBR as a top journal, it will stay on the list, regardless of its fee policy. What this suggests is that it is within the power of business schools and, in particular, deans to act on this. I would urge them to do so by writing to the FT.
Third, as I mentioned in my post, HBSP are offering a ‘way out’ though a bundled rights subscription. But with this threat in place, it does not take a business genius to work out that the price of that subscription can be correspondingly higher. I favour subscriptions but business is business and so I favour the right of customers to use means at their disposal to fight the exercise of market power. This is especially easy when an academic principle is violated by a scholarly publisher. Fourth, I was constantly asked: do other publishers do this? Remember other scholarly publishers don’t exactly have a good reputation for nice behaviour at the moment. But I could not find a publisher that charges for deep linking or even has a clause giving them that option. If anyone knows of one please let me know. Even the Financial Times, allows deep linking for students to library subscriptions and online holdings. Fifth, some legal scholars suggested that in some countries this type of clause may not be possible under existing copyright law. The HBSP clause does allow for use in private study while at the same time prohibiting deep linking. But the Canadian Supreme Court has apparently held that private study includes teaching meaning that the clause contains a legal contradiction. There are also issue before the US Supreme Court that also relate to this. Finally, I personally have had a very good relationship with Harvard Business Review Press which is under the HBSP group (as I just found out). They published my recent book and have an excellent staff. They were also decidedly non-evil and innovative in a pricing scheme for that and in their overall abandonment of DRM on ebooks. That said, I call practices as I see them and this particular one is not something I think they should be doing. One option for me and other academics is to not deal with HBR. But, there are good people there that I like working with. So I personally want to continue that in the future — “well, good luck with that now,” you might say. My hope is that by speaking out some changes will come and we can move back to cordiality. But this isn’t one I am going to let go. Even if the FT thing doesn’t produce change there are other options with wider implications. Anyhow, HBSP are going to respond in the FT tomorrow and we will see what they say. So what changes would satisfy me? Very simple. Don’t charge for deep linking. You already get fees that allow students to access the ‘end of the link’ and that should be enough. Yes, you have to make money to cover editorial costs. But you will still get institutional subscription fees, advertising revenue, personal subscription fees from MBA students who want to learn beyond school and fees for copied material included in course packs. Violating norms of scholarly neutrality is over-reach.